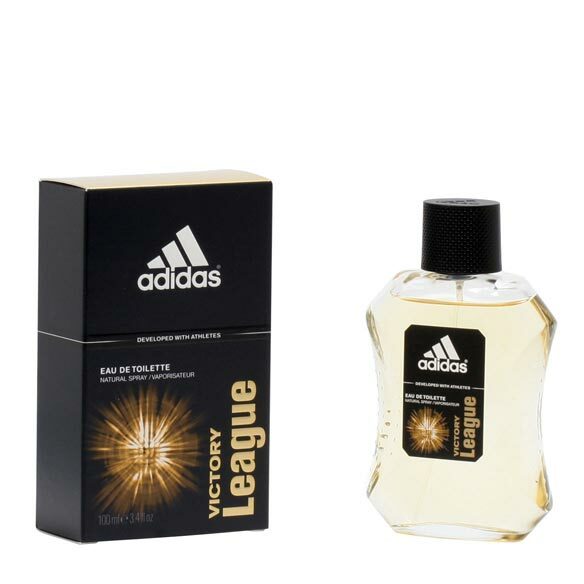 Victory League, introduced in 2006 is a juicy, breezy oriental that is joyfully masculine. It is fresh and crisp, perfect for daytime and casual romantic wear. It opens with a fresh cut grassy scent that is mixed with basil and bergamot and blended with gritty pears and cinnamon. The Lavender spice enhances it's freshness and it settles down with musky and vanilla woodiness. Subtly sensual, classy and a happy scent, it is a league in every sense. 3.4 fl. oz. An EDT spray. No express shipping. No shipping to PO boxes. Love the way he smells.